Mountain biking season pops an early wheelie near Big Bear. 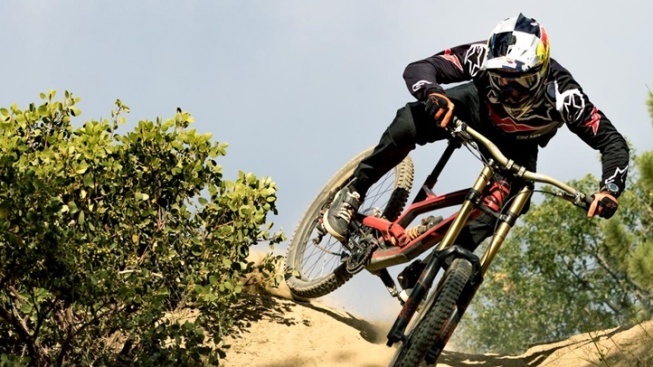 Mountain biking season pops an early wheelie near Big Bear. Opening date? Be there, with your wheels, on Memorial Day Weekend 2017. MEMORIAL DAY WEEKEND: You can be up there on Friday, May 26 if you want to be in the first swing of things, but the park'll rock all weekend long. Be on the lookout for "...several newly added trails as well as the return of the 'Worm's World' pump track." And note that riders of "all disciplines and abilities" are more than welcome, so if this is your first season giving mountain biking a hearty go, ask about a trail that's right for you. What else is doing up the big hill over the holiday weekend? So much: Kayaking on the lake, zip-lining, fishing, and lots more. Check it out, if you're doing some biking around Big Bear (or just planning to chill out, and see the scene, over the final weekend of May 2017).